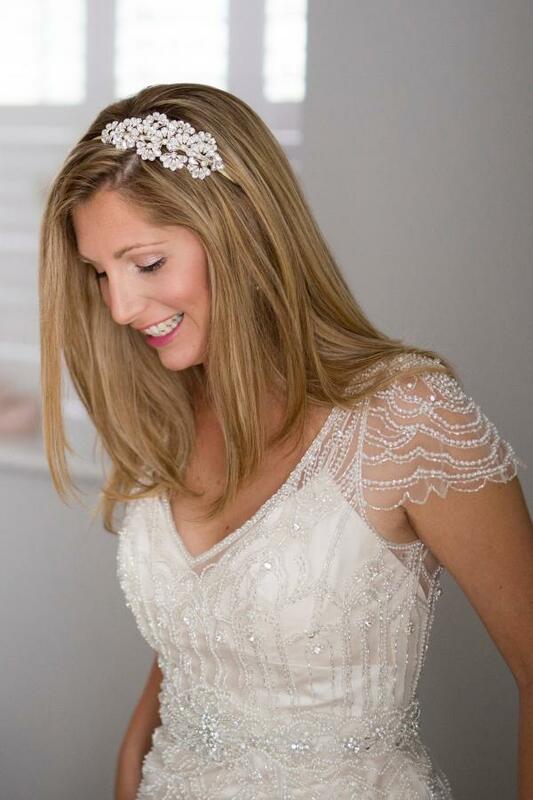 "The Paris Mini was absolutely perfect, and I loved wearing it. It was such a special part of the whole day." Sharon wearing her beautiful Paris Mini Headdress specially made by Hermione Harbutt. Photography by Brad Wakefield.